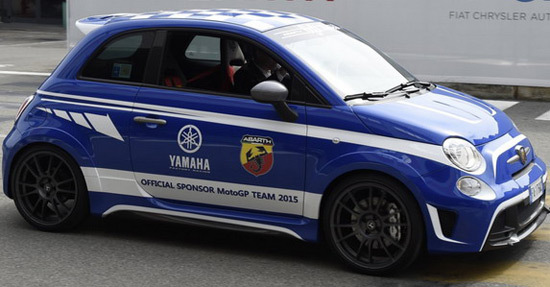 Abarth delivered to Yamaha MotoGP team three copies of the two-seater 695 Yamaha Factory Racing Edition at a special ceremony at the Abarth headquarters in Turin. 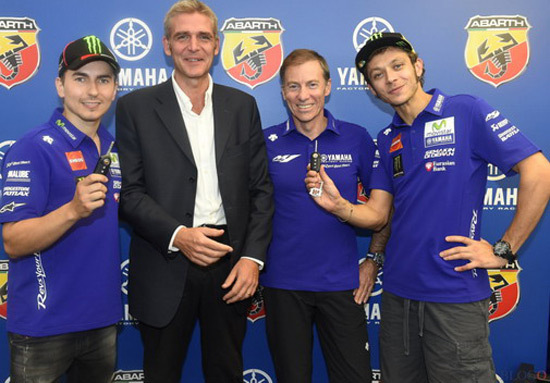 It is about limited edition that is made specifically for the Moto GP team which run Valentino Rossi and Jorge Lorenzo. 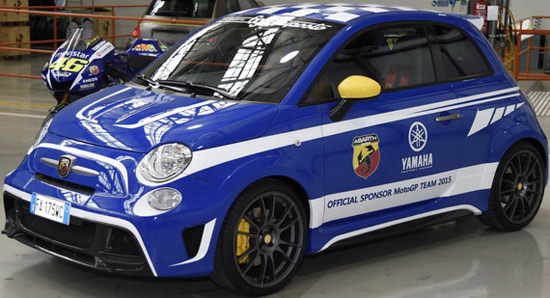 The three Abarth cars are customized with silver details, red in homage to Lorenzo and yellow to Rossi. The mirrors are of three different colors, such as those of the brake calipers. The car otherwise is powerd by 1.4 T-Jet engine with 190 horses, enough to sprint to 100 km/h for a period of 5.9 seconds. It should be noted that the ratio weight / power ratio to 5.2 kilograms per 1Hp.